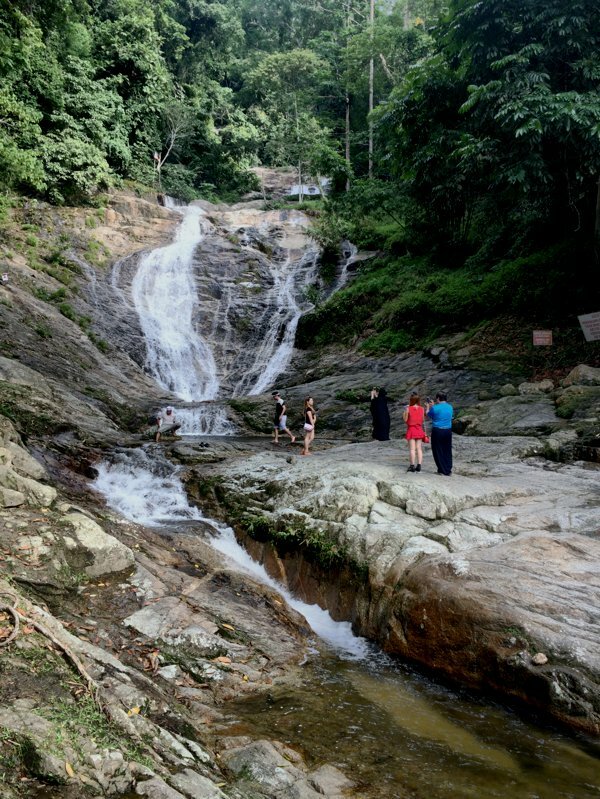 On the way down from Cameron Highlands, I passed Hutan Lipur Lata Iskandar – waterfall. 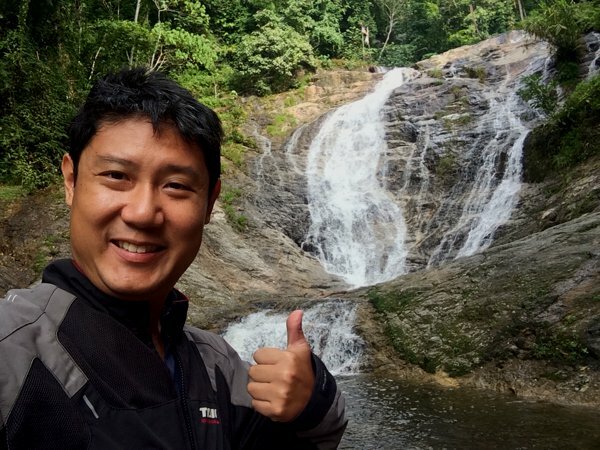 This waterfall wasn’t on my GPS. So it came as a surprise to me. There’s no entrance fee to this waterfall. I just love Malaysia. 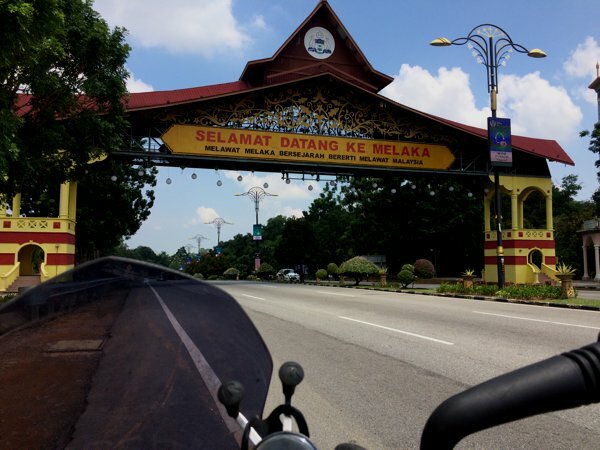 I’ve been to Malacca (also known as Melaka in Malay) many times. 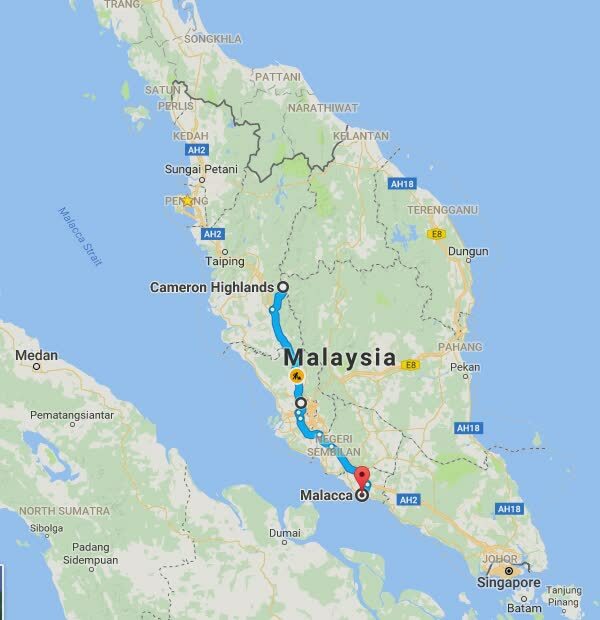 At some 240km from Singapore, it’s near enough to make a day trip there, and I used to drive up to Malacca over the weekend and then back to Singapore on the same day. 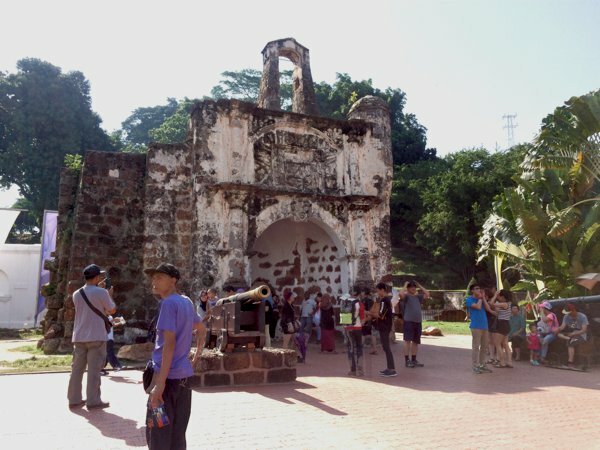 Listed in 2008, Malacca is one of two historic cities in Malaysia listed in UNESCO. The other being George Town, where I was at a just 2 days back. 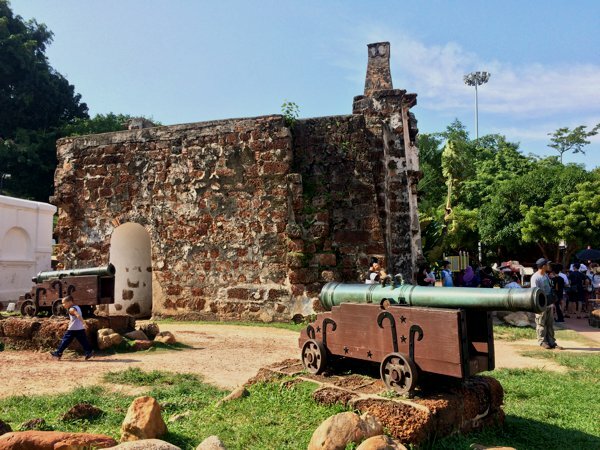 A Famosa in Malacca – the remains of the Portuguese fort in Malacca. A Famosa fort. The canons don’t look original to me. Probably replica props to give the area a little more realism. 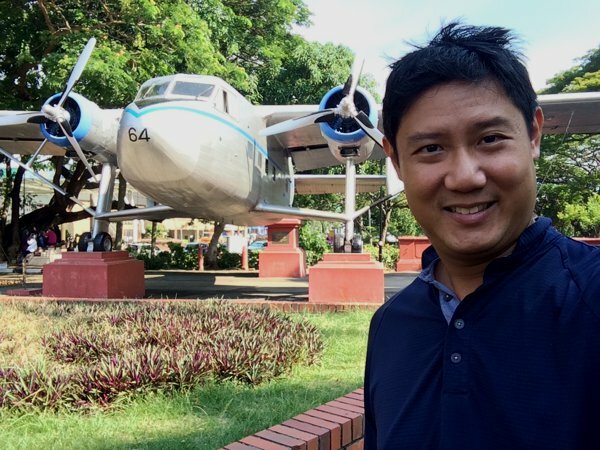 The propeller plane relic in Coronation Park, just a couple of steps away from A Famosa fort. 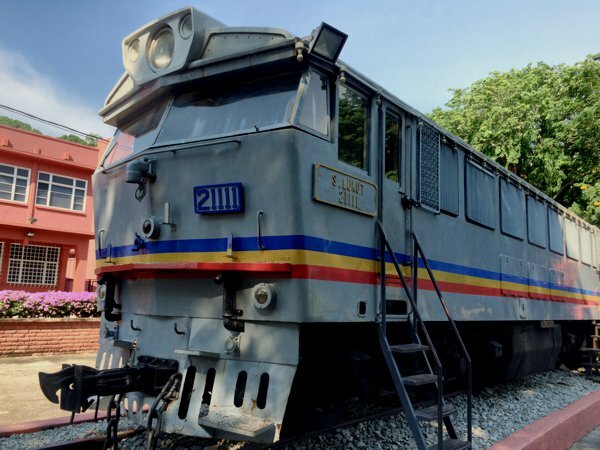 An old locomotive on display. They turned this into a tourist shop of some sort – selling touristy memorabilia INSIDE the cabin. I’m merely 238km from home! That’s the famous Red Church of Malacca in the background. 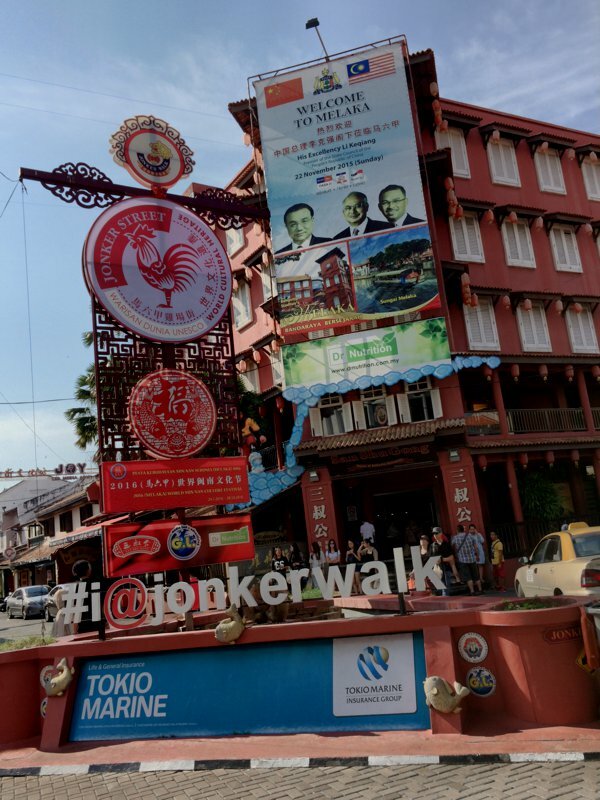 Jonker Walk is the epicentre of Malacca where the 2 most important activities take place – shopping and eating. This street turns into a walking night market in the evening. 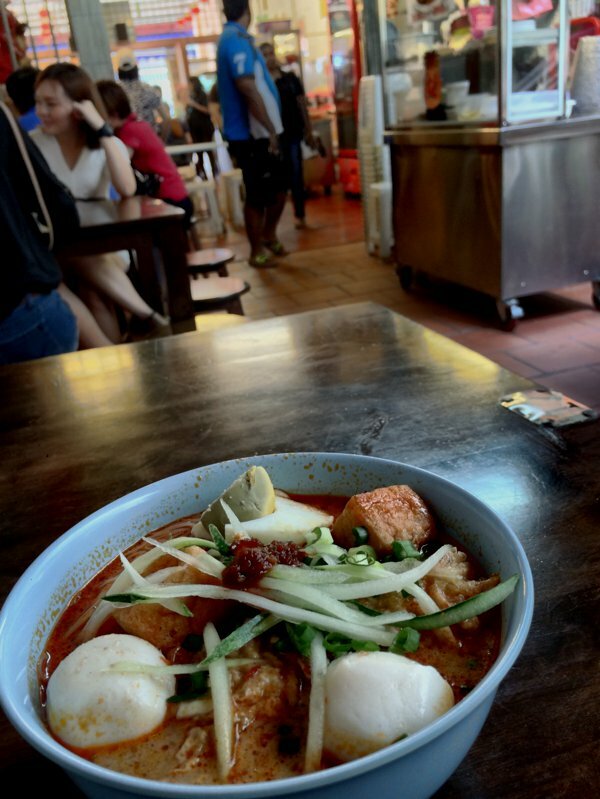 Late lunch – a bowl of Nonya Laksa (curry noodles cooked in Nonya style). 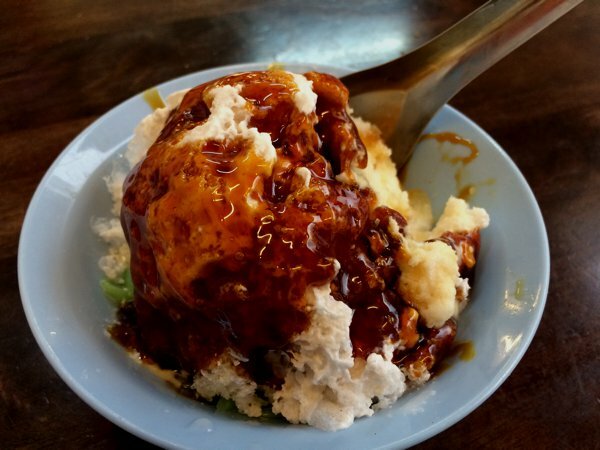 You shouldn’t miss the iced-dessert Nonya Chendol when in Malacca. The brown sauce is made of palm sugar (gula melaka), and although visually un-enticing, tastes really really good! 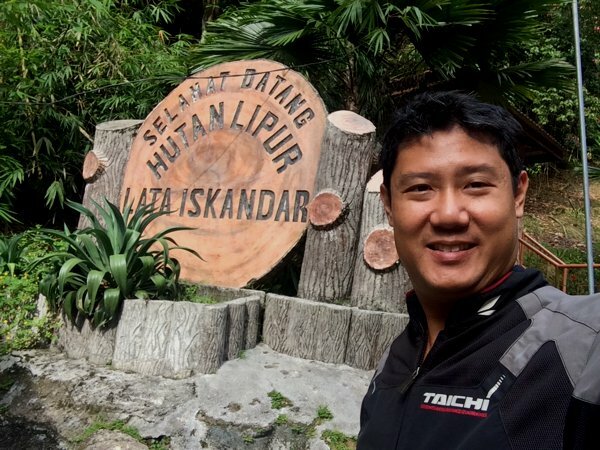 I suspect it must be the humidity and heat; or perhaps due to the ride down from Cameron Highlands; or maybe it’s the cumulative fatigue that has been building up over the past few weeks of travelling, I was feeling really, really, exhausted. So I went for a Thai massage – it cost TWICE as much here in Malaysia (50 MYR) as it is in Thailand (200 THB). But I really needed one. I went back to my room and slept like a log. 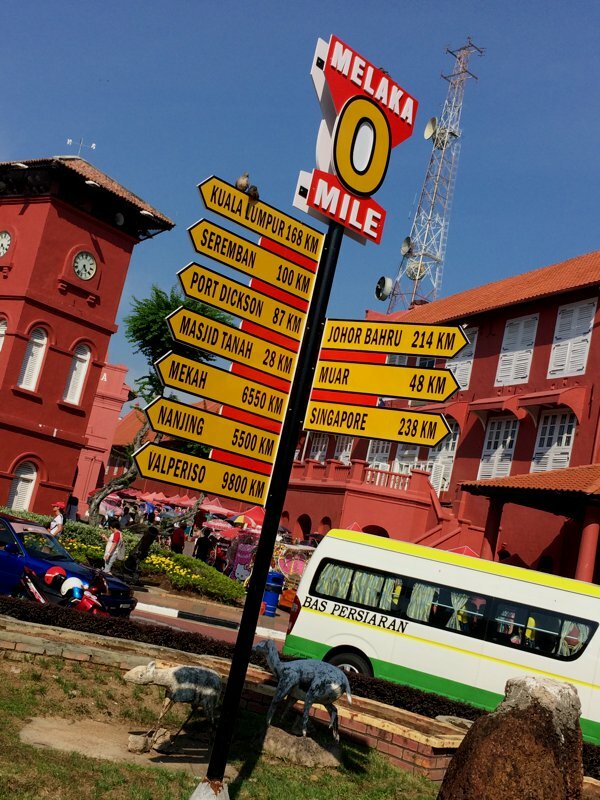 Having visited Malacca a few times before, I knew that I wasn’t missing much. Malacca is also near enough to Singapore that I’m almost certain I’ll re-visit again in the not-too-distance future.